It is a common knowledge that medical education in private medical colleges of India in management seats is highly expensive. 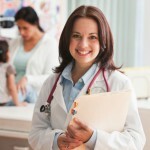 Compared to it, pursuing medical education abroad is a highly cost effective path. However many doubts and misconceptions might arise, which to a large extend is due to misinformation and partly on account of lack of information, which stops many a parents and students from exploring quality, cost effective medicine studies options around the world, and waste years repeating entrance exams or hastily give up their dream altogether. 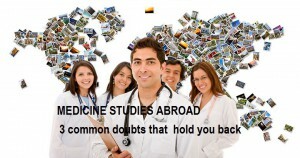 Many doubts crop up in the event of your research to study medicine abroad. Such doubts are quite natural as you are investing precious time and money to earn a Medical degree. Let us try to address, the most common ones here. But before answering them, having a brief idea about MCI would help. What is MCI? MCI is an institution, given shape by the government in 1934; this institution has the mandate to regulate the medical education field in India and for giving necessary guidelines and instructions for conducting medical education and practice. Approval of colleges, syllabus, etc falls under its purview. Now let us tackle the doubts head on. WHAT IS THE LOGIC BEHIND ADVERTISEMENTS, PROJECTING INSTITUTIONS AS MCI APPROVED? The answer is absolutely zero logic. But the misconception has its valid reason, as till 2002 March, when the law was amended; MCI had a directory in place. Students embarking on medicine studies from India could only study in Medical schools included in the directory, whereas as per the new law, any qualified student can study in any country and after gaining a primary medical education of that country, can return back to India and can gain registration after appearing in the mandatory (FMGE) screening test. In this context the logic behind advertisements by many agencies stating that, theirs is a MCI recognized college/ institution needs to be questioned, as after 2002 this notion has become redundant. DO I NEED AN ELIGIBILITY CERTIFICATE FROM MEDICAL COUNCIL OF INDIA TO STUDY MEDICINE ABROAD? No, the condition that, before pursuing medical education abroad, one should get an eligibility Certificate from MCI has been discontinued after a circular, stating the same was brought out in October 2013. HOW CAN I BE ASSURED THAT MY MEDICINE DEGREE IS VALID AND THAT I WILL BE ALLOWED TO APPEAR FOR THE (FMGE) TEST? With the requirement of a certificate from the Indian embassy of the respective country, stating that the college/ university where one has pursued studies are a primary medical education, one can be assured of its validity. By Primary medical education it meant a course with syllabus and arrangements catered to citizens of that country, which meant that in short it should not be a course designed only for Indians. With this there is very little room for further doubts. That certificate in fact backs the MCI conditions. All credible information with regards to medicine studies abroad is available on authentic Government websites. One can also clear their doubts with foreign educated doctors who are undergoing their training after returning back. By gaining authentic information, one can save one self from falling prey to misconception spreading campaigns of base level agencies. In short it is an unarguable fact that overseas medical education of highest level can be pursued at comparatively low cost and once can return back to India and proudly practice here as a Doctor. Santa Monica Study Abroad Pvt. Ltd. has been working closely with top ranked medical universities across the world and can help you identify your best option. The team at Santa Monica has personally visited the institutions and have assessed their facilities and interacted with students before facilitating admissions to their associated institutions. For more details, please seek the advice of our experts in choosing the right destination for your medicine studies. For more info contact us on 0484-4140999. *Kindly note that all foreign medical graduates wishing to pursue their medicine practice in India should mandatorily clear the MCI clearance test known as (FMGE). This entry was posted in Study medicine abroad on February 26, 2016 by Ronnie Fredrick Thimothy.